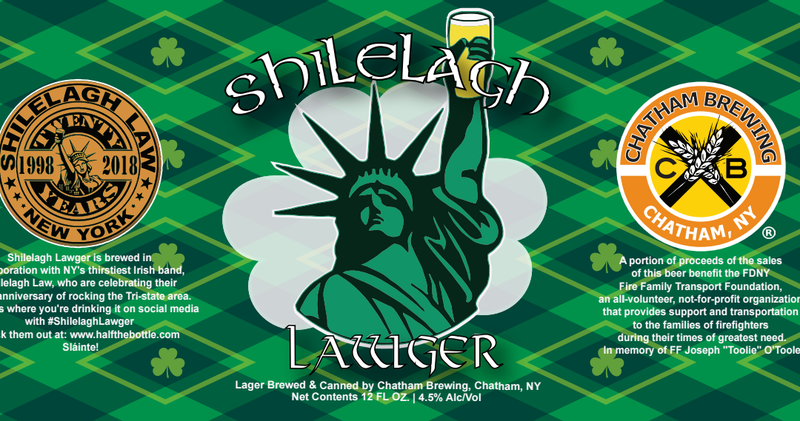 CHATHAM, N.Y. — Chatham Brewing, Columbia County’s first and finest brewery in New York’s upper Hudson Valley, has announced the release of the Shilelagh Lawger, a collaborative charity lager in which a portion of the proceeds will benefit the FDNY Fire Family Transport Foundation. The beer is a collaboration charity beer with New York City-based Irish band Shilelagh Law, in which the band is celebrating its twentieth anniversary this year. 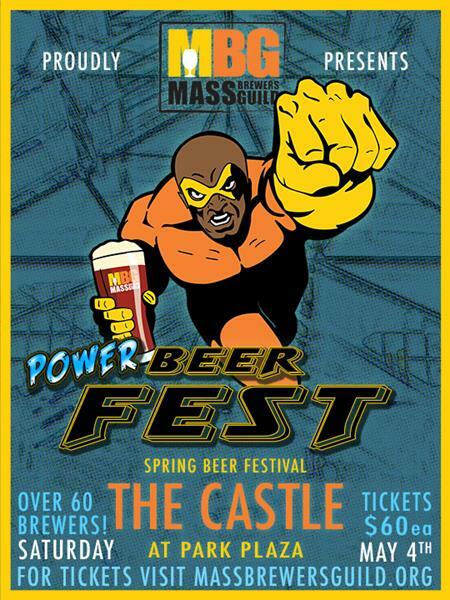 Chatham Brewing and Shilelagh Law came together last year when they both attended a beer festival in Westchester County. A Chatham staff member from Brooklyn had been a long-time fan of the band and reached out to them to put a beer together for the festival. The first keg of Shilelagh Lawger was poured that day to great fanfare. Over the past year, Chatham had supplied kegs for several of the band’s shows in the Hudson Valley, but with the band celebrating their twentieth anniversary this year, St. Patrick’s Day would be the perfect combination. “We reached out to them to see if they would like to have the beer in cans and if they’d like to tie in one of the many charities that they support,” said Crowell. A portion of the proceeds will benefit the FDNY Family Transport Foundation, an organization that provides free transportation to the families of injured and fallen firefighters. “We have a very close affiliation with the FDNY, its members and their families, so we chose to support the FDNY Family Transport Foundation. They work tirelessly helping not just the members of the New York City Fire Department, but when called upon, they also help members of the NYPD, EMS and other agencies during difficult times,” said the band. This light, American lager has a 4.5% ABV and is available at the brewery and at locations proudly serving Chatham Brewing products. A registered 501(c)(3) not-for-profit corporation dedicated to the well-being of the fire department family; for recognition of the unique sacrifices that firefighters and their families selflessly make for the sake of all; and to honor those sacrifices. The central focus of the Foundation is assisting the families of firefighters in their times of greatest need, in transporting firefighters, family members and department personnel to and from medical institutions both for care and family support. We also are dedicated to the comfort and support of the families of firefighters in their times of bereavement. Our immediate aim is to minimize the negative impact of injuries and fatalities that members of the fire family endure, by providing vehicles and transportation assistance, in conjunction with the Fire Department of the City of New York. On a broader scale, we are dedicated to the good of the community in building awareness of the often-overlooked needs of the fire department family. The Foundation is all-volunteer, entirely non-profit, and depends on donations of equipment, funds and service to carry out its mission. The Foundation has, through donations, acquired a fleet of vehicles that are commissioned to the Fire Department and are available around the clock to provide transportation services throughout the City of New York and environs. The Foundation also assists fire families in funeral details, tributes and memorials, to preserve the honor of their sacrifices. The Foundation also joins to support other organizations and endeavors in the broader community, in honor of all who serve in the same spirit.